Why does a particular book “speak” to one person and not another? I suspect that it is often just a matter of being in the right place at the right time. Or rather reading the right book during the right stage of one’s life. Christopher Wright’s Knowing Jesus Through the Old Testament is not particularly well-known, nor was it ever the “must-read” book of the season, but it spoke to me at a time when I desperately needed—in a “dark night of the soul” kind of way—a new way of understanding the Bible. You see, I was “saved” in a traditional evangelical church in the early 1980s. Essentially what this meant was that I had walked the “aisle” during an alter call and promised to give up drinking. Although the Christians there were faithful, loving, and filled with good intentions, they viewed the Bible very much as an “instruction manual”—a kind of flattened-out guidebook for getting to heaven. The Old Testament, especially, was a foreign land into which few ever ventured. We were, after all, already saved. What was the point? Many years later, God decided that it would be a good idea to drag me kicking and screaming into Seminary. Oddly, what terrified me most was not being a woman in a sea of complementarian men, but that after all those years of loving and following Jesus, I might discover that the Bible was what I had always secretly suspected it was—a confusing collection of stories that meant whatever the pastor said it meant. It was with much fear and trepidation that I started my first class. One of the course requirements was a “scholarly” review of Christopher Wright’s Knowing Jesus Through the Old Testament. While I did get an “A” on the paper, I also walked away with a lot more. In just 250 pages, Wright managed to undo all those years of bad exegesis and blow the locks off the doors of the Old Testament. Not bad for an unimpressive little paperback. Each of these five themes–“story,” “promise,” identity,” “mission,” and “values”–are explored in a separate chapter of the book. And although there is something valuable in each and every chapter, it is the first, seemingly most arcane section about Jesus and the Old Testament Story, that drastically impacted how I read the Bible. It is this chapter that I think should be copied and handed out to every Bible Study in North America (I assume that I could say the same about the UK, but I don’t want to generalize). Here in 2012, the idea that “the Old Testament tells the story that Jesus completes” is finally beginning to gain some ground among traditional evangelical churches, but when I first read this 10 years ago, it was explosive stuff. 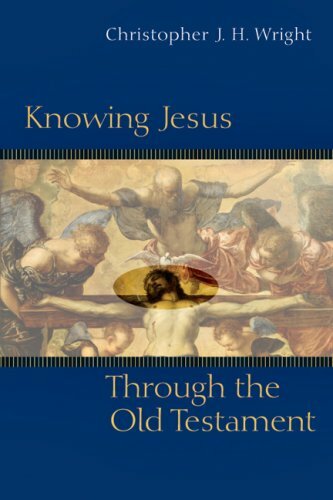 What Wright manages to explain in his uncomplicated, winsome prose is that the Old Testament matters, not just as a kind of “foreshadowing” of Christ, but as the story that Jesus resolves. He succeeds in shattering the “instruction manual” metaphor without ever mentioning it by reframing the Old Testament as the rising action of God’s story of redemption. In doing this, Wright also convinces us that the plot of the Old Testament—its action, conflicts, and themes—matter. The Old Testament matters in the same way the first six books of Harry Potter matter—because without them the end doesn’t make sense. Reading the Old Testament this way, says Wright, has several effects. First, it means that “whatever significance a particular event had in terms of Israel’s own experience of God…is affirmed and validated. ‘What it meant for Israel’ does not just evaporate in a haze of spiritualization when we reach the New Testament.” Another advantage of this paradigm is that it helps us understand the full significance and brilliant complexity of Christ’s life, death, and resurrection. No longer can the reader assume that “taking away my sins” was the only thing Jesus had on his mind. 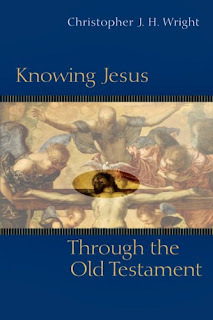 Finally, says Wright, understanding how Jesus completes the Old Testament can deepen our understanding of the original events, providing “additional levels of significance in the light of the end of the story.” I didn’t realize it at the time, but what Wright does here is provide the foundation for a Christocentric hermeneutic that both values the Old Testament as the historic record of God’s interaction with Israel and interprets that story through the lens of the gospel. I recommend this book to anyone who loves Jesus, but is afraid to look too closely at the Bible. I recommend it to anyone who “gets” the New Testament but just can’t figure out what to do with the Old. I recommend it to anyone who is so content with the idea that Jesus’ primary purpose in dying was to save them from their sins that they never venture any further inside the heart of God. 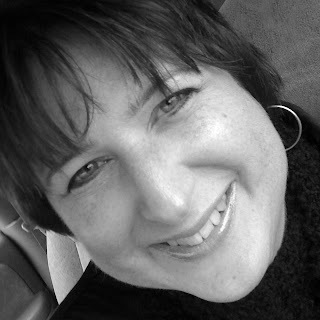 Leslie Keeney is getting her Masters of Philosophical Studies at Liberty University. 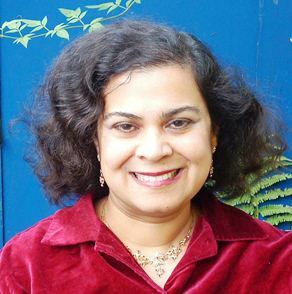 She is interested in moral & imaginative apologetics, and how myth, narrative, and pop culture can reveal the best of man’s universal moral intuition. (Don’t worry if you don’t know what that means. Sometime she doesn’t either!) Her current project involves trying to figure out how narrative theology and a Christocentric hermeneutic might fit together to provide way of reading the Bible that’s both faithful to its purpose and helpful for the church. I hope one of these works for you. This sounds like a book I'd like to read, but my local library doesn't appear to have a copy. Do you have an ISBN number or similar that I can try to order it with?